Priti Patnaik is an independent journalist who has written for Bilan Magazine and The Wire. Weeding out good speculation from bad is good in principle, but difficult to implement. The initiative to ban financial speculation of agricultural commodities in Switzerland did not get enough support this week, but it certainly drew attention to the role of financial speculators in contributing to volatility that ultimately impacts food prices. Greater regulation, including imposing position limits, is always a more appropriate solution than the outright ban on financial speculation. The stakes were high. Nearly 60% of voters turned down the initiative, but as many as 40% voted in favour of it on Sunday (28 February). The commodity business in Switzerland contributes nearly 4% to Swiss GDP, with nearly 550 companies in the country. The youth wing of the Social Democratic Party that called for the vote believes that, financial speculation on commodities contributes to artificially-created demand, resulting in increased food prices. This, they say, increases the burden on the poor in developing countries who spend a substantial part of their incomes on food. The industry and the Swiss government have said that there has not been enough definitive evidence to link financial speculation to increases in food prices, even though they claim there is evidence to show there is no link. The reason why there is not enough evidence yet is also because it is very difficult to measure the effect. However, there is unequivocal evidence that volatility in prices is caused by financial speculation. It is this volatility that has some impact on food prices. Financial speculation exacerbates booms and busts in the cycle and volatility is a major problem for farmers and agro industries. There is thus a clear need to reduce volatility and to control speculation even if the effect on prices cannot be measured. Volatility impacts prices in the short term. But mostly, prices in the long term are still determined by actual supply and demand. 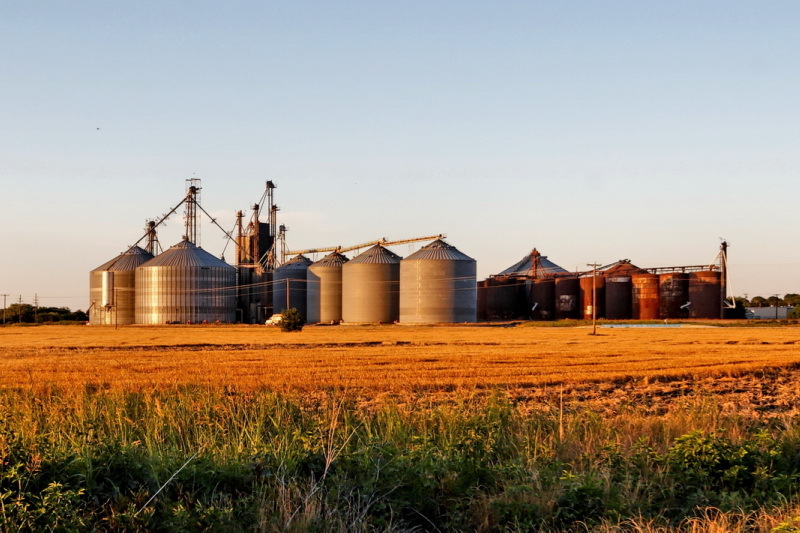 Just as there are studies that show that future prices have no impact on spot prices, there are also studies that prove that commodity futures market can have an impact on spot prices. On balance, there is enough evidence to think about ways to address excessive financial speculation. The link between speculation and prices has also been hard to pin down for other reasons. Notable experts have pointed to the shifts evident in the 2007-2008 crisis, including the role of energy speculation and the link created by biofuels between food and energy markets. To illustrate how integrated commodities can be, one needs to consider mixed indices that contain both food and non-food items. (Consider the direct link between corn and ethanol or soy and biodiesel.) Experts believe that factors other than food supply and demand are affecting prices and possibly changing production decisions in ways that do not respond to food security needs. To be sure, speculation serves the purpose of ensuring liquidity and aiding price discovery. There is recognition that not all speculation is bad – including those for risk insurance purposes and physical traders who want to hedge their exposure to protect against price fluctuations. Speculation does provide liquidity to hedgers. The initiative did make the distinction between hedging and pure financial speculation. However, one cannot distinguish a hedging transaction from a speculative trade – apart from intent or motivation for a trade, which is hard if not impossible to tell. There is no way to make a distinction between the trades, except, perhaps, by categorising traders as those who have commercial purposes (physical traders) and those who do not (non-commercial actors like banks). The volumes of financial transactions are now a multiple of the real volumes. The initiative sought to prohibit investors such as investment funds, banks and financial arms of commodity companies to indulge in financial speculation. Supporters of the initiative believe that such investors have huge power to influence the markets and hence prices. There is not enough information on the extent of speculative activities that these actors undertake. The Swiss government acknowledges this. The aim of the initiative was to discourage index funds, over the counter derivatives linked to agriculture commodities. Critics of the initiative, who now stand vindicated, believe that banning speculation cannot address food prices. The government and the industry were wary of the legal uncertainty and costs that could result, in addition to potential job losses. Industry feared that the initiative would result in creating more difficulties for the physical players to access the futures market, to prove they were really hedging for physical trading and not merely speculating. The government feared that the commodity business could shift to kinder jurisdictions. These fears were possibly overstated. After all, Geneva is also a major centre of trade finance that lubricates capital intensive commodity transactions. Apart from trading companies, there is a web of insurance companies, law firms, banks, accounting, forwarding, surveillance and security firms, and shipbuilders, around this industry. The Financial Market Infrastructure Act (FMIA), entered into force on 1 January 2016 in Switzerland, seeks to put the Swiss regulatory environment in line with regulations in the US and the EU. Firms located in Switzerland who trade in agri-derivatives over platforms in the US or the EU must comply with the rules in these jurisdictions. Position limits have been suggested as a crucial tool to prohibit major financial actors from influencing the price variations by the sheer ability they have to mobilize huge funds (that they do not own) to bet on price variations. But it is not entirely clear whether the Swiss government has imposed position limits, although the act has already come into effect. To be sure, the position limits prescribed in EU’s Markets in Financial Instruments Directive II, scheduled to come into effect in 2018, is also seen as not being effective enough to curb financial speculation. Furthermore, the Food and Agriculture Organisation (FAO) has also set up the Agricultural Market Information System (AMIS) to “enhance food market transparency and encourage coordination of policy action in response to market uncertainty”. The leading position of Switzerland in the commodities sector cannot be understated. Some of the commodities traded in the Geneva region include – 35% of the world’s cereals and oilseeds, 50% of the world’s coffee, 50% of the world’s sugar, 35% of the world’s rice, 35% of the world’s oil, as well as natural gas, ethanol and cotton. Increasing development aid to fight hunger – as the government said after the Swiss rejected this initiative – is not the same as increasing regulation on the commodities sector. It is time the government paid more attention to what the Berne Declaration referred to as Switzerland’s most dangerous business. The original article was published first in French by Bilan.